join today and start enjoying the benefits of membership. 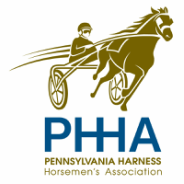 Becoming a member of the PHHA will help you stay connected to the world of Pennsylvania harness racing. In addition, as soon as your application is processed, you can start taking advantage of valuable member benefits. Most importantly, you can be confident that you are joining an organization that is singularly dedicated to the development of Pennsylvania harness racing. To keep membership dues as low as possible, we do not offer online payment. This allows us to avoid passing the costs associated with credit/debit card processing on to you.